DNA Compass is optimized for smarter, faster implementations. In healthcare, new health IT systems are often slow and expensive propositions. So we decided to build on existing solutions (that are already on-premises) that are already integrated with security and EHRs. Our core insight is that genetic information is organized by location (Chromosome # and position). So we have adapted the most commonly adopted mapping solution by clinics and universities to organize our information. We are an ESRI partner, which means we inherit their widely scalable, secure, localized technology stack. Even more importantly, we inherit the ESRI customer base,which includes most of the universities and hospitals who use our solutions. So the time to answer is as fast as possible: the software is already implemented on premises! 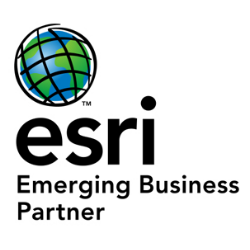 DNA Compass is proud to be a ESRI Business Partner partner. DNA Compass is proud to be a Google For Startups partner. Google's exceptional genomics solutions are fundamental to the repeatable and scalable workflows we develop. But we also utilize their business resources to be with the right community in any market we adjoin.